Barely in her teens, Turner quickly immersed herself in St. Louis’s R&B scene, spending much of her time at Club Manhattan. It was there, in 1956, that she met rock-and-roll pioneer Ike Turner, whose band the Kings of Rhythm was a fixture at the club. It wasn’t long before Turner was performing with the group, and she quickly became the highlight of their show. In 1960, when another singer failed to show up for a Kings of Rhythm recording session, Turner sang the lead on a track titled “A Fool in Love.” The record was then sent to a radio station in New York, and was released as “Ike and Tina Turner.” The song became a huge R&B success, and soon crossed over into the pop charts. Before long, the group was touring as the Ike and Tina Turner Review and became known for their electrifying stage performances. The group also capitalized on the success of “A Fool in Love” by releasing a string of successful follow-up singles in 1961, including “It’s Gonna Work Out Fine,” “Poor Fool” and “Tra La La La La.”With their popularity growing, Ike and Tina were married in Tijuana, Mexico, in 1962, and two years later their son, Ronnie, was born (they had four sons in all, one from an earlier relationship of Tina’s, and two from an earlier relationship of Ike’s). In 1966, Tina and Ike’s success reached new heights when they recorded the album River Deep, Mountain High with superstar record producer Phil Spector. The title track was unsuccessful in the United States, but it was a massive hit in Europe and brought the duo new fame. In 1969 they toured as the opening act for the Rolling Stones, winning themselves still more fans. Their popularity continued well into the 1970s, with the group charting with tracks such as “Proud Mary” and “Nutbush City Limits.” In 1975, Tina also appeared in her first film, playing the Acid Queen in the Who’s Tommy. But despite their success as a musical duo, by the mid-1970s, Tina and Ike’s marriage was in shambles. In 1976, the couple separated both personally and professionally, and in 1978, they were officially divorced, with Tina citing Ike’s physically abusive behavior, frequent infidelities and increasing drug and alcohol use. In the years following her divorce, Tina’s solo career got off to a slow a slow start. According to Tina, when she left Ike, she had “36 cents and a gas station credit card.” To make ends meet and to care for her children, she used food stamps and even worked cleaning houses. But she also continued to perform, only in lower-profile venues, and made guest appearances on other artists’ records, though without achieving any notable success. In 1983, however, Turner’s solo career finally began to take off when she recorded a remake of Al Green’s “Let’s Stay Together.” The following year, she exploded back into the record industry when her much-anticipated solo album, Private Dancer, was released to overwhelming critical and popular success. It went on to win four Grammy Awards and eventually sold more than 20 million copies worldwide. By this time, Turner had become known for her uniquely energetic performance style and raspy singing style, as well as for her signature look—typically performing in short skirts that expose her famous legs, and with voluminously styled hair. In 1985, Turner returned to the screen, starring opposite Mel Gibson in the film Mad Max Beyond Thunderdome (for which she contributed the song “We Don’t Need Another Hero), and in 1986, she published her autobiography, I, Tina, which would later be adapted as the film What’s Love Got to Do with It? (Her soundtrack for the film would go double platinum.) The year 1986 also saw the release of Tina Turner’s second solo album, Break Every Rule(1986). Tina Live in Europe followed in 1988 and won the Grammy for Female Rock Vocal Performance, and Foreign Affair, which included the hit single “(Simply) The Best,” outdid even Private Dancer in worldwide sales. During the 1990s, Turner released Wildest Dreams and Twenty Four Seven. She also made several recordings for film soundtracks, including “Goldeneye” and “He Lives in You.” In 1991, Ike and Tina Turner were inducted into the Rock and Roll Hall of Fame. Ike was unable to attend the ceremony, however, as he was serving time for drug possession (he died of an overdose in 2007). 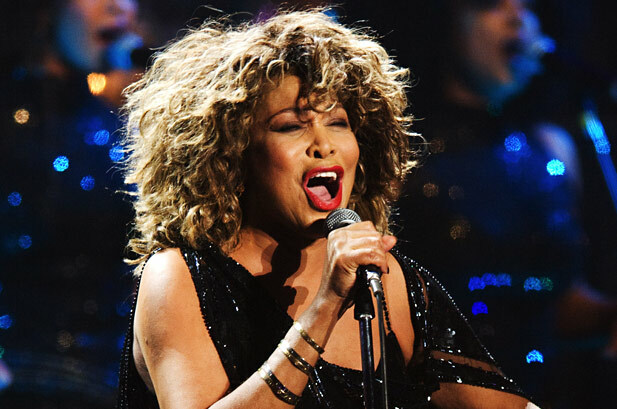 Though she is now semi-retired, Tina Turner does make rare appearances and recordings. In 2008 she embarked on her “Tina! 50th Anniversary Tour.” It became one of the highest-selling ticketed shows of 2008 and 2009. In 2013, it was announced that Turner, at the age of 73, was engaged to marry her longtime partner, German record executive Erwin Bach. The couple has been living together in Switzerland since 1995. In July of 2013, the couple got married in Zurich, Switzerland, only months after Turner gained her Swiss citizenship in the spring.